BumbleBee-EX™ is a rugged, calibrated spectrum analyzer in an all-in-one system. 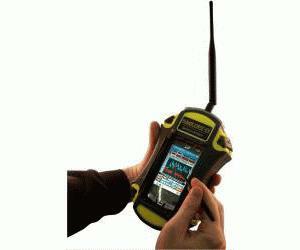 The handheld receiver measures the popular wireless Wi-MAX frequencies between 2.0-4.0 GHz and 4.9-5.9 GHz. BumbleBee-EX allows users to scan, display and record multiple RF waveforms for network installation, coverage and interference analysis. The color, touch-screen allows field engineers to tap on points of interest in any waveform and zoom in for further analysis. Advanced spectrum analysis features include 3 waveform, peak hold, peak search and user selectable packet / interference triggers. BumbleBee-EX allows for realtime spectral analysis of many wireless standards including RFID, VoIP, 802.11b/a/g & Bluetooth as well as unidentified RF interference such as microwaves and cordless phones. BumbleBee-EX takes the power of sophisticated laboratory spectrum analyzers and puts it in the hands of the user.